Both crowns and most bridges are fixed prosthetic devices. Dentures, for example are removable devices which you can take out and clean daily. 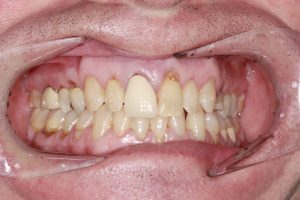 On the other hand,crowns and bridges are cemented onto existing teeth or implants and can only be removed by a dentist. Ceramic crown with E-Max ceramic material from IVoclave Vivadent (Swiss company) By Dr Simin Soltani. A bridge may be recommended if you are missing one or more teeth. 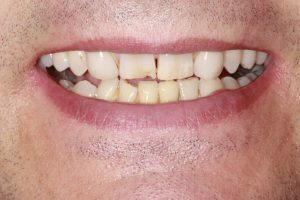 Gaps left by missing teeth eventually cause the remaining teeth to rotate or shift into the empty spaces, resulting in a bad bite. The imbalance caused by missing teeth can also lead to gum disease and temporomandibular joint (TMJ) disorders. Bridges span the space where the teeth are missing. 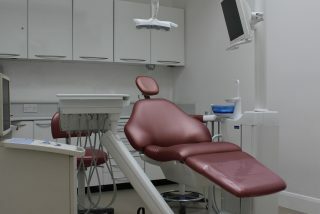 They are cemented to the natural teeth or implants surrounding the empty space. These teeth, called abutments, serve as anchors for the bridge. A replacement tooth, called a pontic, is attached to the crowns that cover the abutments. As with crowns, there is a choice of material for bridges. Our Dentist will help you decide which to use, based on the location of the missing tooth (or teeth), the function, aesthetic considerations and cost. 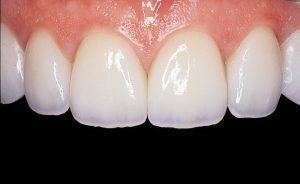 Porcelain or ceramic bridges can be matched to the colour of your natural teeth. 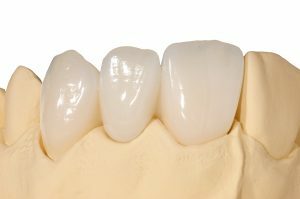 Before either a crown or a bridge can be made, the tooth (or teeth) must be reduced in size so that the crown or bridge will fit over it properly. 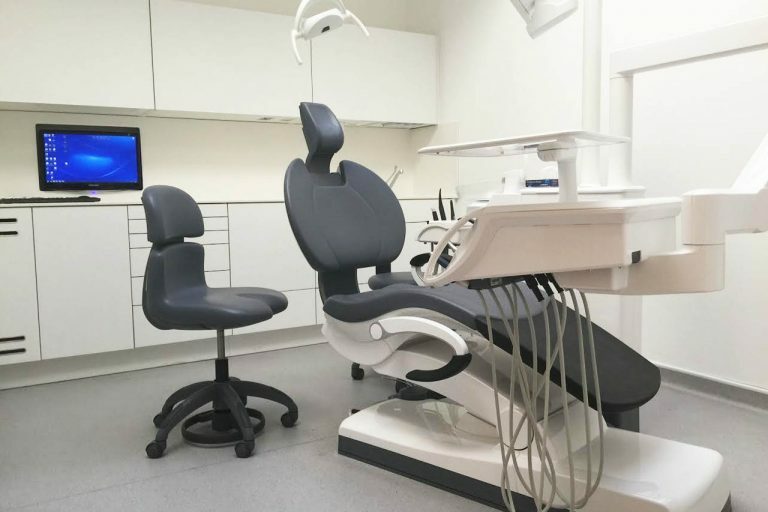 After reducing the tooth or teeth, our Dentist will take an impression to provide an exact mould for the crown or bridge. 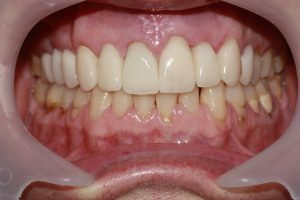 If porcelain is to be used, our dentist will determine the correct shade for the crown or bridge to match the colour of your existing teeth. 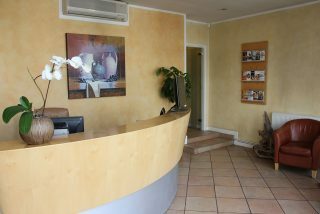 Using this impression, a dental laboratory makes your crown or bridge, in the material our dentist specifies. 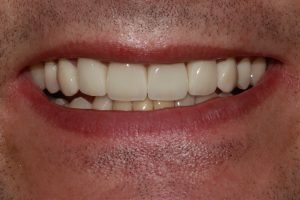 A temporary crown or bridge is put in place to cover the prepared tooth while the permanent crown or bridge is being made. When the permanent crown or bridge is ready, the temporary crown or bridge is removed, and the new crown or bridge is cemented over your prepared tooth or teeth. While crowns and bridges can last a lifetime, they do sometimes become loose or fall out. 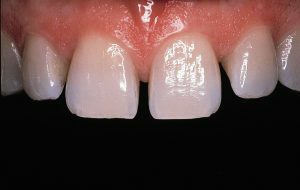 The most important step you can take to ensure the longevity of your crown or bridge is to practise good oral hygiene. A bridge can lose its support if the teeth or bone holding it in place are damaged by dental disease. Always keep your gums and teeth healthy by brushing with fluoride toothpaste twice a day and flossing daily. 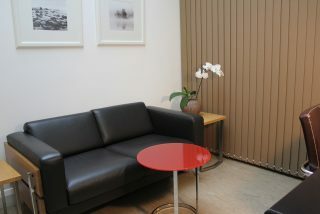 As ever you should see us regularly for check-ups and professional cleaning. To prevent damage to your new crown or bridge, avoid chewing hard foods, ice or other hard objects. What material is used for Crowns and Bridges ? The most advanced material for bridges is metal free, using high-end Zirconi or E-max material IVoclave Vivadent (Swiss company). Traditionally other material used for crowns would be either metal porcelain fused to metal crown or Gold which is still useful in some special cases.